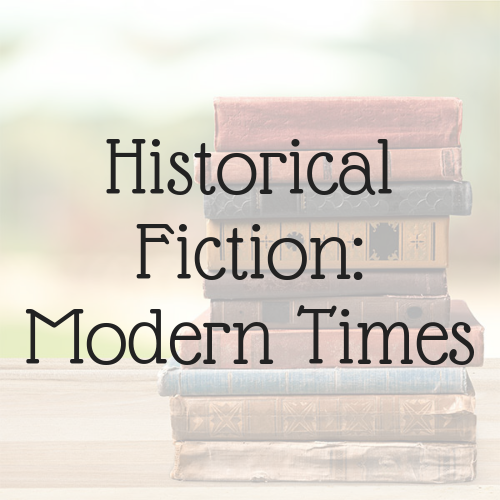 Explore the modern history of the 20th century through the lens of literature! 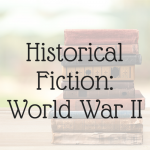 By reading and analyzing historical fiction, young students will gain insights into the post-WWII era, as well as an appreciation for elements of literature. Reading selections are carefully chosen from a list of award-winning novels intended for middle school audiences. Reluctant historians who love to read will find a path to understanding the past. History lovers who remain skeptical of literature study will find a gentle introduction to literary analysis. This interdisciplinary course will provide readers with diverse interests and backgrounds ample fodder for discussion, critical thinking, and creative response. Categories: Fall 2019, Literature. Tag: Standard Semester. Books in this series may be easier to read and analyze than those studied in Lightning Lit 7 and 8, but some historical topics may be emotionally challenging for younger or more sensitive readers. LL7, LL8, and Historical Fiction classes may be taken in any order. This literature series complements the History of US series nicely. Minimal writing skills are required. Most books are readily available at your local library or can be purchased online. Students are welcome to read electronic versions of books as well. Note for sensitive readers: This class is designed to be appealing and academically appropriate for a wide range of ages. However, some historical topics may be emotionally challenging for younger or more sensitive students. The fictional protagonists face perilous journeys and some do not survive the dangers they face. Please review the book selections carefully to determine the appropriateness of this class for your student. In addition, if the overall class is appealing but a single book selection is concerning, students may skip the reading and associated webinars for that book. This is a middle school literature class appropriate for gifted students who can read comfortably at the 6th-8th grade levels. Elementary students who are strong readers may also find this course appropriate. Student must be able to read fluently at the 6th grade level or above. Student should also be able to write basic sentences independently.